A month ago we asked you if you wanted to see an update to the Locke model to look like the voice actor, Ian Russell, who also played Locke in the films we created for Crimefest. The votes were almost 17 to 1 in favor of the update. With such a landslide victory we have now added Ian (and his glorious mustache) to the game and contact videos. 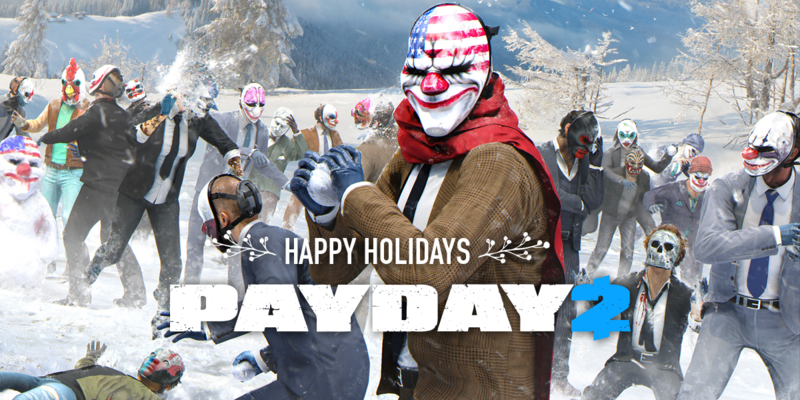 Finally, we have something for our Virtual Heisters. Bows are now available, as well as a virtual keyboard that helps communication if you don’t want to use voice chat. Last but not least, we added procedural arm movement so your teammates can see you flailing your arms about in real time. This can (of course) be turned off if you do not want them to see you frantically waving as a Cloaker charges you. 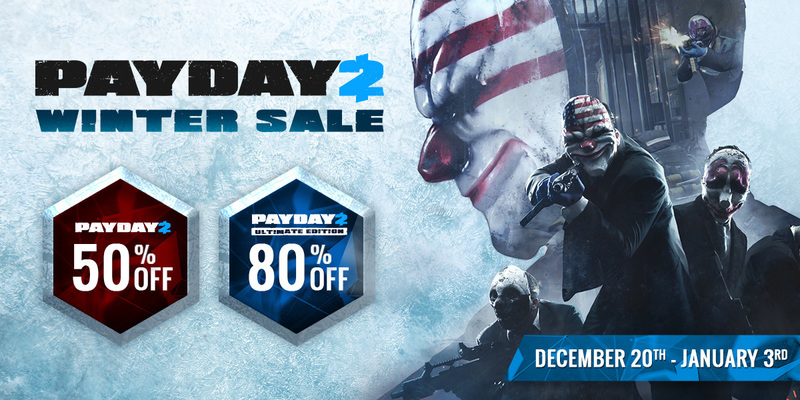 The 2018 Steam Winter sale Sale is now in full swing and PAYDAY 2: Ultimate Edition, is available at up to an 80% discount, and PAYDAY 2 Base Game has up to a 50% discount! giving you 20% off on all Apparel until tomorrow.